Hang up those ice skates and retire the old toboggan, spring has officially arrived in Kamloops! There is never a shortage of things to do and explore in Kamloops, and the spring season is no different. Ideal for a day out with friends or a fun afternoon with kids, here are 5 things you can do for free in Kamloops this spring. 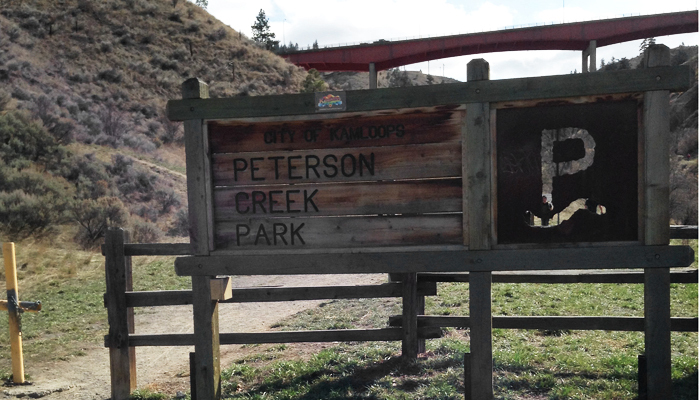 Nestled in picturesque downtown Kamloops, Peterson Creek Park offers visitors a unique hiking experience in the heart of the city. Both kid and dog-friendly, Peterson Creek Park has a variety of trails with a varying degree of difficulty, quiet spots for a family picnic, and a gorgeous waterfall bursting with the spring runoff. To get to the Peterson Creek Park’s lower entrance, head down Columbia Street and turn down Glenfair Drive. This will lead you along the creek to a parking lot and picnic area where a number of the trails meet. 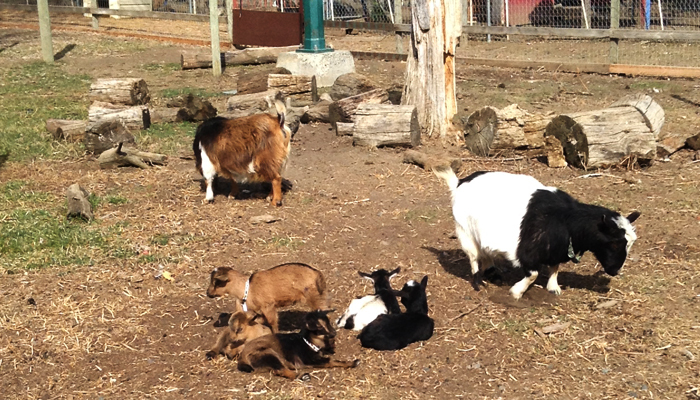 Located on Franklin Road in Westsyde’s Centennial Park, Little Farmer Petting Zoo is an awesome place to bring the little animal lover in your family. The Little Farmer is home to peacocks, wild turkeys, chickens, ducks, swans, bunnies, pheasants, an emu, and a whole horde of goats with loads of spring babies. There is no entry fee to visit the petting zoo with visitors instead invited to interact with the animals along side their pens. Feed can be purchased for a quarter or a loonie, and all money raised goes back into helping with the cost of the animals’ upkeep. If you are looking to escape the city and take in some breath-taking views of Kamloops, the Lac Du Bois Grasslands is the perfect place to explore. 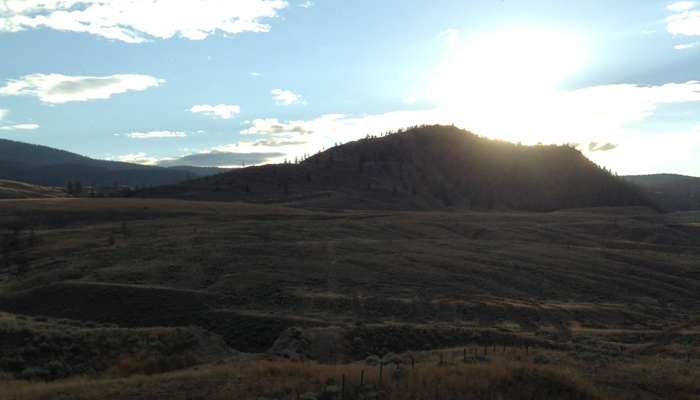 Located in the hills above Kamloops behind Batchelor Heights, the grasslands feature a number of trails suited for both hiking and mountain biking, local wildlife and limitless places to explore. On foot or mountain bike, Lac Du Bois’ expansive trail system will lead you through sage-filled grasslands and small groves of Ponderosa Pine and Douglas Fir. As it is a protected area, the local wildlife flourishes making it a great spot to catch a glimpse of mule deer, bighorn sheep and Western bluebirds. Bears and Rattlesnakes can also be found in this area around spring time, please always be aware of your surroundings. McArthur Island Park is a popular destination for those looking to get active. With it’s large sports center, skatepark, baseball stadium, sports fields and golf course, McArthur Island Park caters to a variety of athletic endeavors. Those looking for a bit of light activity, or something fun for small kids the island is also a great place to go for a stroll and meet some of Kamloops’ local duck population. On the NorthWest side of the park there is a small pedestrian bridge that joins McArthur Island Park with the surrounding community which is situated above an area commonly used by ducks for nesting in the spring and summer months. 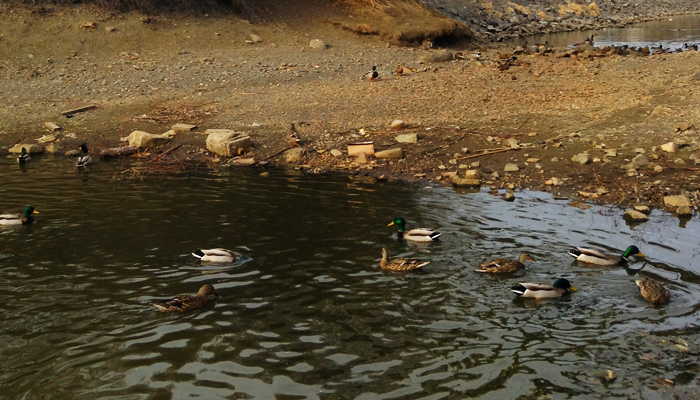 The bridge is fantastic for those with young duck enthusiast as it keeps everyone safely away from the water and from accidentally interfering with the ducks nests. Every Wednesday and Saturday in the spring and summer months, the downtown farmers’ market unites local vendors who offer an extensive range of products, from bedding plants, to vegetables, baking, farm fresh dairy products and grass-fed meat. In addition to tasty treats, the Kamloops Farmers Market is also home to local artisans, small business’ and home based companies who specialize in hand-made goods rooted in tradition and history. 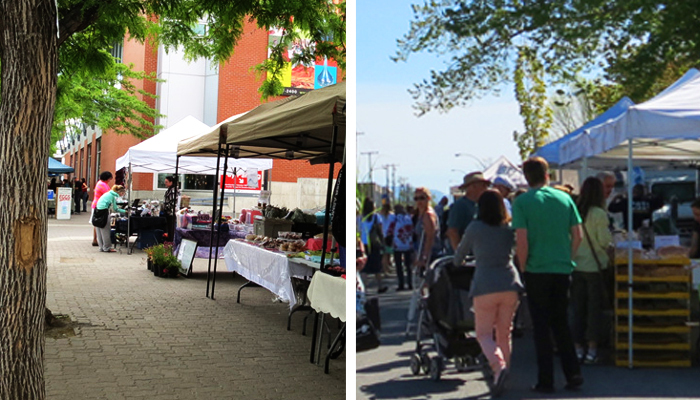 Be it to pick up a snack, or just to enjoy a relaxing spring stroll through the market, the downtown Kamloops Farmers’ Market is a wonderful way to spend the afternoon in Kamloops. Whether you are visiting Kamloops for the day, staying the weekend or you are lucky enough to call it home, get out and explore all of the amazing free things to do in Kamloops this spring! Exploring Kamloops is an online guide to everything about Kamloops BC written by people who love calling it home. A go-to source for information and resources for those looking to explore the city where the rivers meet.